Caitlyn became an ambassador for animal abuse when horrendous photos of her taped muzzle went viral in 2015. Her life today is filled with love and kindness. The parole board was unanimous in its denial. 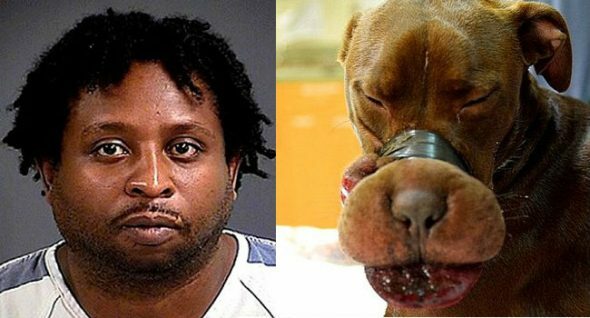 When initially charged, Dodson told authorities he wrapped the dog’s snout with tape to silence her barking. We’ve been following the story of Caitlyn the dog since 2015 (click here for all our Caitlyn coverage! 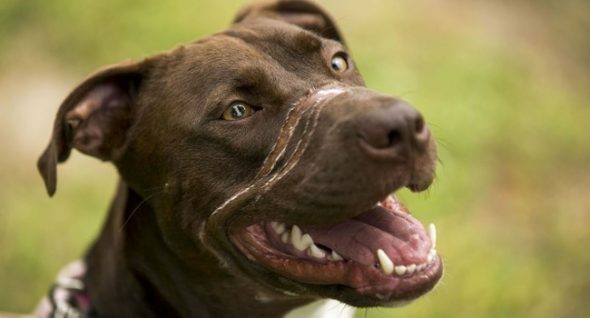 ), when she was discovered wandering the streets, her face grossly swolled after enduring 36 hours with electrical tape wrapped around her muzzle. William Dodson pleaded guilty to animal cruelty last year and was unanimously denied parole yesterday. He has six months to go on that sentence, but he won’t be on the streets anytime soon. Dodson was sentenced to five years in state prison following guilty pleas for felony ill treatment of animals (he has credit for time served that stretches back to the summer of 2015), but will be remanded to federal custody following his state term on an unrelated case. In March of 2015, while fleeing police in North Charleston following a traffic stop, Dodson tossed marijuana, cocaine and a loaded hand gun. He received a 15-year sentence. Cute video from awhile back. Caitlyn goofing around in her then-foster home. Her foster family planned on officially adopting her once her court case had been sorted. The parole board’s decision was unanimous and representatives from the Charleston Animal Society, as well as some anti-animal-cruelty organizations, were present for the hearing. 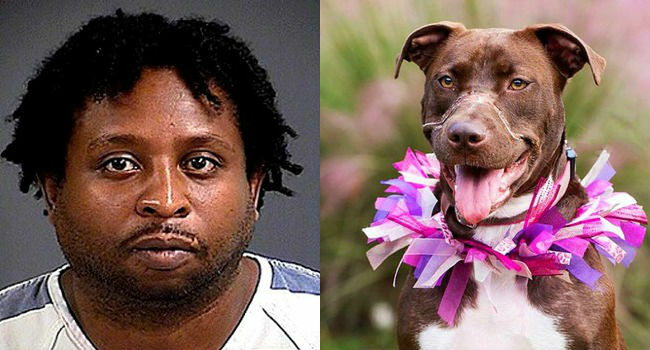 “I wanted to make sure the parole board understood the severity of this case and how … not only the scars Caitlyn has on her nose still are visible today, she also has emotional scars,” Kay Hyman, director of community engagement for the Charleston Animal Society, said during a livestream broadcast on the group’s Facebook page, the Post & Courier reported. These days, Caitlyn’s life is filled with love. She smiles all the time…. 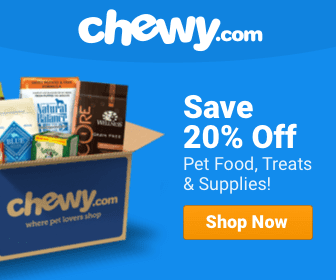 Love German Shepherds? This Compilation’s For You! He deserves to stay locked up. All sickos like him are nothing but Evil driven by the Devil! I am so sorry about what happened to this poor Sweet dog I hate that guy!